with a pub date of September . 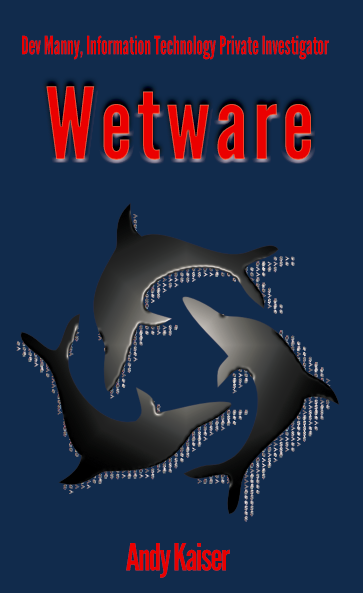 Wetware: Dev Manny 3 is on the floor! So, here’s the deal: Dev Manny 1 (“Superliminal”) is published. It’s out there in the wild. 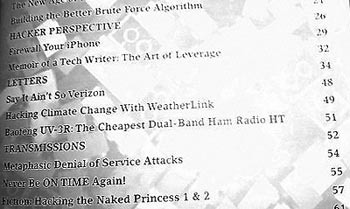 Dev Manny 2 (“Hacking the Naked Princess”) is being published in a serial format in 2600 Magazine. While that’s in progress, I’ve also started Dev Manny 3 (the working title is “Wetware”). But since the 2600 publication is quarterly, I probably won’t have finished Dev Manny 2 for another year at least, so Dev Manny 3 will come out first, even though it’s #3, not #2. I may end up switching the “3” with the “2” upon publication of “3”. Not sure yet. That’s what will happen later. Here’s what’s happening now: Dev Manny 3, “Wetware”, is on the floor. My term for saying a book is “on the floor” isn’t some weird industry term, or something metaphorical. I’m being literal. As literal as printing out a bunch of pages and putting them on my floor. Spooky-eyed Shih Tzu in frame because I'm posting this on Halloween. In addition to confusing my dog, I do this to get an overview on the chapter flow. As I write, I realize that this part doesn’t belong here, it makes more sense to have it over there. This seemingly-simple rearranging is beyond my mental capacity to visualize (so far there are thirty-four chapters in the book). Putting them on the ground allows me to perform an old-school cut-and-paste. So I do. And I did. Pixar – the group who brought us Toy Story, The Incredibles, Finding Nemo, UP, Monsters, Inc, and many more – is built around a philosophy of excellent storytelling. Emma Coats is a story artist at Pixar, and she has compiled what she’s learned about storytelling, both from her personal experience and learning from those around her. It’s great stuff. If you want something to post on your wall, PB&J Publishing has converted the below rules into a cool infographic. I emailed 2600 magazine, and asked if they’d be interested in serializing the next Dev Manny book. They said okay, they’d at least be willing to try out a couple chapters. So, here we are: Go get 2600 Volume 29, #2 (the Summer 2012 issue), and read the start of Dev’s newest case, “Hacking the Naked Princess”. As the 2600 editors said at the end of my story, this is a test: “Please let us know if you want to see more – or if you want us to stop. Write to letters@2600.com.” If the 2600 community doesn’t like the story, I’ll bow to the majority and Dev will walk alone. Otherwise, here’s hoping we can publish more with 2600. My thanks to the 2600 editors for taking the chance! So why did I do this? The serialization concept sounds fine on paper (electronic or pulp), but it’s not used as much these days. 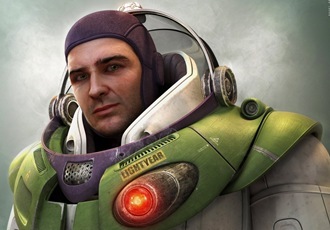 It’s a concept that seems to have been more popular in the days of Heinlein and Asimov than in 2012. 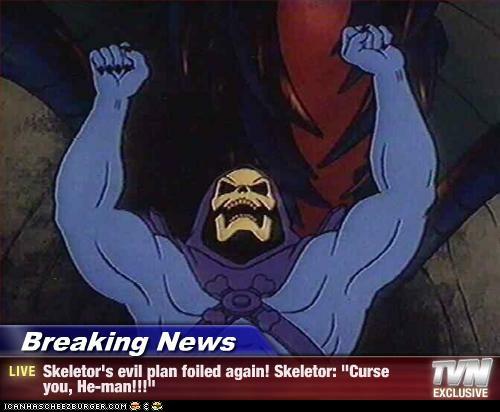 Third, thanks to 2600’s excellent copyright and content ownership policy, I can publish with them, and later can still use my work in other formats. In this case, I can serialize the book and then can later self-publish it. This is a cool experiment with people I respect, and I am eager to see what happens next. Self-publishing a children’s book: What’s the best software for layout and design? The article title question is a pretty easy one to answer: Adobe InDesign is an industry standard for book publishing, and would be an excellent book creation tool for a self-publisher, specifically those needing graphics manipulation or other advanced book layout and design tools. …and there’s no way I can afford it. So, sorry InDesign, no offense but you’re too rich for my blood. My wallet can’t afford you. I had been using Microsoft Word. It’s a fine word processor and document creation engine – I use it for my “regular” book publishing needs. But I’m working on a new project. A children’s book. With a title of “Sharks and Bunnies“, you can bet it’s got a lot of interesting art on each page. For now, I’m using Microsoft Publisher. It’s not InDesign, but it’s a heckuva lot cheaper and far better than MS Word. So far, it’s perfect for my needs. 1) Work with an artist to create art. She’s painting 18″x18″ pieces. 2) Scan in and post-process the art with Photoshop. This is also where I overlay the book text over their place in the art. Other tools like GIMP (free) or the CorelDRAW Graphics Suite (cheaper than Photoshop, but I don’t use Corel for this reason) would also work fine. 3) Export from Photoshop as a 9″x9″ TIFF. 5) Import all page TIFFs into each page in Publisher, and place each piece of art where it goes – the guidelines and rulers and “snap-to” functionality allows me to place the graphic easily on the page and plan for bleed and other layout considerations. …steps 4-7 are what I was originally trying to do in Microsoft Word, and it failed miserably. It’s not designed for such sizes or frequent graphical manipulation. The process was extremely buggy. And I also found out another Microsoft Word “feature” the hard way: Word’s file size caps off at 512MB. Any bigger, and Word will refuse to open the file. So after I made modifications to my Word file, I could no longer open it! Nasty. Microsoft Publisher, on the other hand, doesn’t crash, graphic manipulation and project sizing is smooth and intuitive, and the performance is great, even with a large file (the current file size for my publisher file is 643MB. It takes several seconds to initially open and save, but the actual work inside the file is delay-free). To answer the original question: What’s the best software for doing layout and design for self-publishing a children’s book? There are many options that will work well for many people. My choice right now is Microsoft Publisher. A goal in writing the article was to describe mental stumbling blocks that I’ve encountered in writing and publishing, along with advice on overcoming those problems. Thanks to Sabine Reed for making this guest appearance happen. Transhuman #1: “Waking the Dreamer” is available as an audiobook! 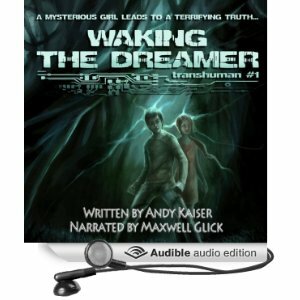 2012/03/29 Andy Kaiser Comments Off on Transhuman #1: “Waking the Dreamer” is available as an audiobook! For YA and middle-grade fans of science fiction and mystery, I’ve now fully finished production of “Waking the Dreamer”, the first book in my “Transhuman” series. After paper book printing and ebook design, this culminated with the development and rollout of the audiobook edition. For the audiobook, I again used the ACX service (which I documented before in this post), and I again am very happy with the results. ACX handles availability and sales in Amazon, Audible.com, and the iTunes Store, and gave me access to an excellent reader, actor and publisher, Maxwell Glick. Most every author today will have heard recommendations for and against traditional and self-publishing. Some argue that one method is inherently better or worse than the other. Some say that one is destined for failure, that it serves the wrong people, or that it provides no long-term benefit to those involved. In a more measured opinion, picking one over the other depends on what you’re trying to achieve: Your sales expectations, long-term plans, available time, audience and other factors can influence this decision. Both methods are here to stay for a while, though it’s also true that both are in a state of major flux. This is the reason I dated this post to 2012 – I’m eager to see what the publishing industry will look like in a few years, because it’s going to change. Significantly. In 2012, it’s still a notable thing to be published by a traditional publisher. You get the (usually) extensive traditional vetting process and the (hopefully) greater number of talented people working to produce a single book. That’s not to say there are poorly-produced traditional books, or excellent self-pubbed books, because there are. I’m talking about overall trends and the public’s perception. This encompasses a lot, and is meant to represent the amount of work that a publication house can assist with. With things like proofreading, editing, cover art, physical design, publication processing, marketing, advertising and putting books on shelves, traditional publishing has the edge. Self-publishing requires the author to do all of the above alone (or be willing to hire out the needed jobs), and in some cases, simply doesn’t have the contacts, money and methods available to a publishing house. It’s difficult or impossible to get books into high-volume venues like Walmart, Barnes & Noble physical stores, most libraries and your airport of choice. In order to “qualify” for these, it’s practically a requirement you publish traditionally. Or be really, really good friends with a store manager, librarian, or airline CEO. 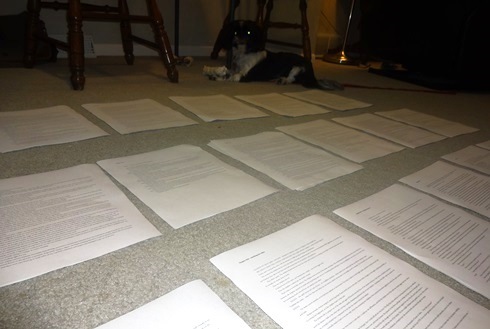 In order to be published, the editor must approve your manuscript. For the editor to approve your manuscript, she must approve the sample chapters you wrote. In order to write sample chapters, the editor must approve the synopsis and outline you sent. In order to have the synopsis and outline approved, you often have to have an agent submit them. In order to get an agent… Well, books have been written about that process alone. It’s time-consuming and difficult. This typical scenario is not the same for all publishers. Some want a fully-completed manuscript as the first step, which puts more of the workload on the agent to help the author develop it. The point: While irritating and far from perfect, the traditional publishing vetting process does raise the bar for the quality of the finished product. Traditional publishing shouldn’t cost anything. If anyone’s charging you money for reading feeds, editing feeds, publication costs or similar items, you’re probably being scammed. All money should flow to the author. With self-publishing, the costs can be cheap, but there are still costs. You may hire out for proofreaders and cover artists, for example, and the author does have to pay for the pre-publication proof costs and any actual printed books. Self-publishing can be cheap or expensive, but there are definitive costs. With a traditionally-published book, you give up a lot of control over the work. If you don’t like the cover art, tough. If your editor doesn’t like parts of the story and insists you change them, do it. The publisher may listen to your concerns, but (as is specified in the contract you signed), they have no legal right to do so. In a self-published environment, the author has 100% control of the material, the design, and is responsible for the end result. The graphic above is not weighted by importance. If it was, the Royalties section would be huge. Traditional publishing royalties are around 10% per sale, 15% if you’re very lucky. With self-publishing, the author sets the price on a fixed publication cost, and can therefore decide on the royalty. A common range for self-pubbed royalties is from 30% to 70%. Ebook rights, audiobook rights, movie rights, foreign printing rights and more: Today, all of these rights are contracted heavily in the traditional publisher’s favor, to a 50% royalty split or more. Many publishers refuse contracts that don’t give them some or the majority of the royalties for these additional sales. Some publishers require the extra rights, but never use them. In self-publishing, the author owns 100% of these rights. Traditionally-published books have a print run. Hopefully more than one. But there will eventually come a time when the book isn’t profitable, and the publisher stops printing it. In a self-published world, the author controls when a book goes out of print. And with the inclusion of print-on-demand and ebooks, many books may literally never need to go out of print – readers will keep buying if books are available. Self-publishing is exponentially faster than traditional publishing. In traditional publishing, a normal publication wait after a final manuscript is approved is often one to two years. Self-publication’s turnaround is as fast as you can upload a manuscript, cover design, specify book details, kick off a few proofs, make tweaks, and click the Approval button. In my experience, this is often two to three weeks. Along with the speed factor above, the ease of moving a book through the self-publishing process is pretty simple. Yes, self-publishing requires a learning curve to learn about the design and printing process, but the learning curve and time requirements for traditional publishing are far steeper (just start with getting an agent, and let me know how that went). Self-publishing and traditional publishing: They CAN get along! In my case, the comparatively-long traditional publication process was made significantly longer due to an unexpected crisis at my publisher. However, it’s been a mixed blessing, because it’s allowed me to focus on my own self-publishing efforts: I have two books available now, and by the time the traditionally-published book is on shelves, I should have yet another completed. My experiment is to see if my traditionally-published book can cross-promote my other self-published titles, and vice versa. Worst case is “no”. Best case is that sales of one type will increase sales of another type. Everyone wins – my readers, my publisher and me. The self-publishing and traditional publishing industries can indeed play nice together. A first step for authors is to self-educate about these drastically-changing, increasingly-complex industries. Then they don’t need to bash, ostracize or worry about self-publishing or traditional publishing. They can take advantage of both. My daughter, wife and I sat in the TV room. It was just before bedtime and my six-year-old was watching a movie she hadn’t seen in a while. My wife and I were trying to talk to her about the actors involved, the special effects, the storyline, how the movie wouldn’t be so spooky if it happened in real life… You know: All the usual stuff parents distract themselves with when they’re desperately trying to avoid having to actually watch a particularly bad kid’s movie. I was impressed. The blanket statement wasn’t really something you can apply to all villains, but from someone with her level of exposure to “bad guys”, it was very observant. In storytelling, it’s a tricky situation. We want to avoid cliches because they can make for a predictable and by-the-numbers story. However, we still want to introduce conflict, adventure, appealing characters and all the ingredients that make a great story, and there are a limited number of ways to do that. Granted, sometimes celebrating a cliche leads to great entertainment. The movie Office Space, the TV series South Park and the movie series Austin Powers are good examples. I see those as something to work up to, but they’re not something to emulate unless you understand what makes them work. Some people (think Aardman Animations’ Wallace and Gromit) tell brilliant stories without falling into many cliches – I remember when I watched “The Wrong Trousers” for the first time, I was amazed at the creativity of such a unique and entertaining story. Yet for a plotline, it used a cliche of a jewelry heist. I didn’t care (until writing this article, I never even noticed), because everything surrounding it is so well done. My point in writing this is to illustrate how cliches are sometimes necessary as part of standard story structure, but when done incorrectly they can make your story formulaic. A six-year-old may like it. Your intended audience may not. So be careful. Beware the dark and stormy cliches. Determine if they’re really needed, or if you can change them into something more creative and surprising. ACX, or the “Audiobook Creation Exchange”, is a company dedicated to the production of audiobooks. …Or perhaps “production” is the wrong word. But it wouldn’t look as smooth for the marketing copy to say “a crowdsourced program that puts authors in touch with audiobook readers, and vice versa, and provides a low-cost way of doing so”. 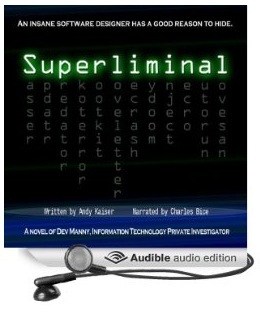 In my case, I finished my book Dev Manny #1: Superliminal. 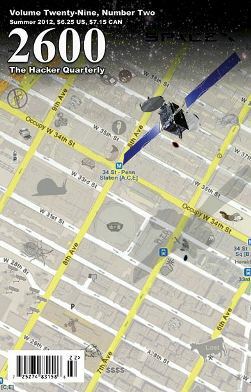 I’d already published it as a paper book and ebook, and then I decided to try out ACX and publish it as an audiobook. The process was easy: Upload a sample of the book for potential actors to read (I used the first chapter of the book), then describe what kind of voice and reader you’re looking for. You’ve got plenty of options – you can specify various accents, ages, and traits like “comic timing”. Once I specified what I was looking for, my next step was to wait. In this case, it wasn’t for very long: Within a day or so I had three auditions for the voice of Dev Manny! 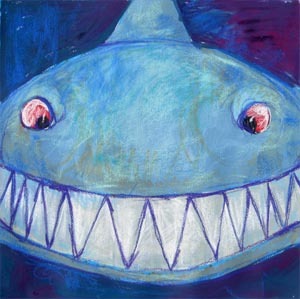 Then it was up to me to pick the one I liked best, and work with the narrator to get the voice just the way I wanted it. Then I set up a contract with them (this was brokered by ACX). 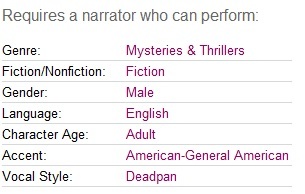 This is where ACX shines, because while authors can pay narrators for their time (starting at around $200 per hour, and I would keep all royalities), authors can alternatively pay nothing up front, and split the audiobook royalties 50/50 with the narrator. This last option is what I did. After that, the narrator does the rest of the work in the process of physically narrating the book and editing that effort. After another approval process from me, ACX took over, then placed the audiobook in Amazon, Audible.com, and the iTunes Store. In my case, yes. ACX is great. Thanks to ACX, I have a great-sounding audiobook available of my work for a very low cost, and sales/distribution/royalties are handled for me. I’m very happy with the results. I have only one complaint about ACX, and it’s small: At the time of this writing, they do not support direct deposit of royalty funds. Once your royalty balance hits $50, they mail out a check. ACX is partnered with Amazon – you actually use your Amazon ID to sign on to the service. Other Amazon services and partners support direct deposit (like KDP, CreateSpace and crowdSPRING), and it would be more convenient if ACX supported this too, but they don’t. Special thanks to Charles Bice, the guy you hear narrating “Superliminal”. I’m proud and impressed that Dev Manny has such a cool voice. 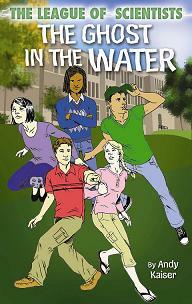 Check out Bice’s work – he’s narrated and written many other books. I’ve been happy enough with ACX that I’m doing it again – my book “Waking the Dreamer” is going through ACX audiobook production right now!